I'm changing it up a little today! Because I'm STILL wearing mostly a swimsuit and a cover-up and who needs to see that???? Today I'm showing you my most popular links from the "What I Wore" posts the last month. You might be a little surprised!! THIS maxi dress that's on sale for $38.90 at Nordstrom. THESE wedges on sale at Nordstrom for $55! 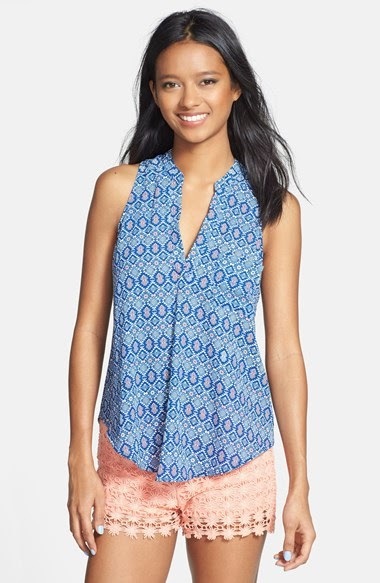 THESE tanks are on sale for $20 at Nordstrom. 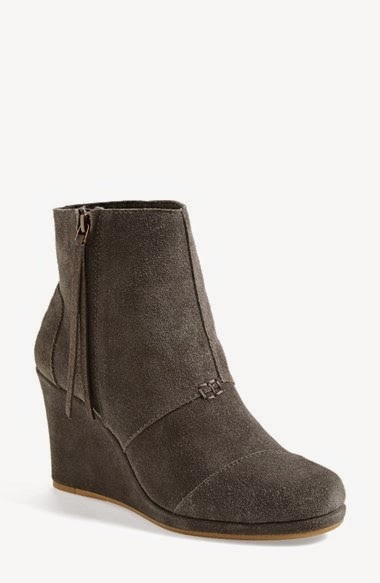 Tom's Desert Wedges High Booties...by the way, I LOVE the tassel on these shoes! I linked up today with The Pleated Poppy for WIWW, Get Your Pretty On, and Because Shanna Said So. I am sooooooo ready for fall weather. Words cannot describe how ready I am. I'm just going to sit and stare at those booties for a while to put me in the fall mood ;). I am loving those booties! They are on my fall wishlist! But still holding on to my sandals for awhile longer! I love the booties too. I am ready to wear some of my new fall stuff! How did I miss that tank? So cute!!! I would love to know what you gals think fall weather temps are? it gets crazy hot there. what temp do u think. it's chilly?? Loving the maxi dress! 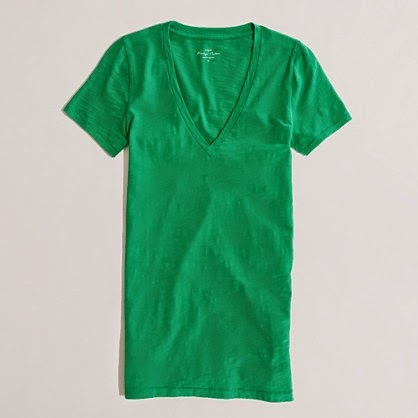 And the J Crew t-shirts are so comfy! I am so ready for fall clothes! And all things fall!!! Cute as always, Erika! we have actually had a hot summer, it reached in the 90s..wooohoooo!!! I'm ordering the Tom's! What color do you like?